Have you ever found yourself boasting about a time when you persevered against all odds, even when others said you were wrong? Of course, we all have. There is something irresistible about the rugged individualist, going it alone against the consensus. 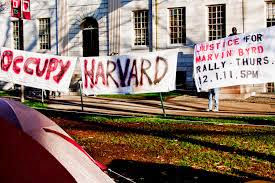 Teary-eyed renderings of "my way" sung in high-end bars, chants against the dominant paradigm heard at occupy Harvard, the wealthy alumnus of an elite business school claiming to be a self-made man. For most of us, attempts to make this claim are the stuff of comedy; yet they are evidence that we would love to be the lone innovator courageously bucking the trend. And no wonder, because history has been written by such people. Consider the story of Qualcomm. Years ago when Irwin Jacobs was just getting Qualcomm off the ground, the world was pretty skeptical about his attempt to turn CDMA technology into a working wireless standard. The technology was complicated, yet Jacobs’ team claimed to have made it work. Doubts about this claim mounted, even among experts; some esteemed faculty at Stanford University concluded that Jacobs’ work “violated the laws of physics.” If you ever feel surrounded by doubters, imagine how that must have felt for Irwin Jacobs and his fledgling firm. Today we know that Qualcomm was successful in bringing CDMA technology into the market, and Jacobs is often described as a genius. This success is all the greater because of those early doubts. With so much controversy surrounding CDMA, most of the good early research was done by Irwin and his team. The benefit from being right, in a sea of doubters, is that you end up with most of the intellectual property. So it has been for Qualcomm. To this day they enjoy a handsome stream of payments: The reward for being right about a non-consensus strategy. The sweet spot for an innovator is to be right about a new opportunity before the rest of the world has reached a consensus. After all, if you are right and everyone else agrees, then you are unlikely to see much of an upside. This fact is at work when we say that we would happily go it alone. We know we have an edge when we’re right and others are in doubt. If you are wrong, would you rather be consensus or non-consensus? No doubt: If I am wrong, I just don’t want to be alone. Because if we are all wrong, who can blame me? Whereas if I’m wrong and alone, now I am a fool. Everyone said I was wrong, but I stayed with my idea anyway, and sure enough I am wrong. What a fool! 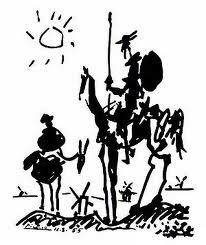 Like Don Quixote, I did it my way. In many organizations, the fear of being a fool is stronger than the hope of being a genius. We are human, after all, and vulnerable. We know that pursuing a non-consensus idea puts us at risk of being seen as a fool. So it is that people so often stay with the consensus, remaining silent about their ideas that buck the trend. After all, as long as we remain with the consensus, failure is tolerable; it is failure as the lone fool that we fear. Is your organization a safe place to be non-consensus? Do those who work for you feel safe when they innovate, even if they are alone? You should frankly ask yourself these questions. Great leaders make it safe for others to innovate. And history then is written about those who were correct about new opportunities, even though there was no consensus. Research showing the returns to the nonconsensus strategy appears in my paper with Elizabeth Pontikes.